Black fabric was draped over the entrance of town hall in Vienna, Va., as the community mourned the death of its longtime mayor. 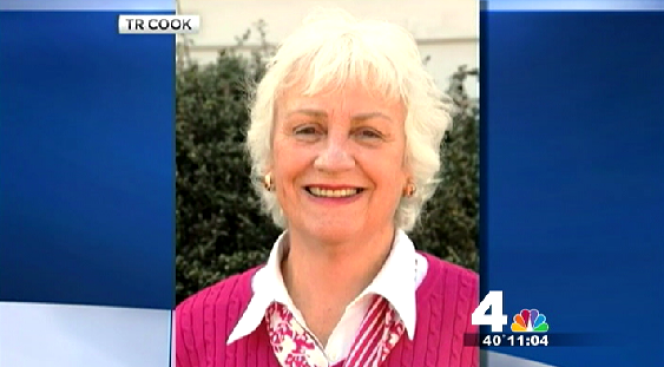 Mayor M. Jane Seeman died over the weekend following a battle with lung cancer. She was 76. Vienna resident Jeff Donnelly said he's known the mayor for more than 20 years. "She's a beautiful, nice, very personable lady. Always thought about the people. She took her job very seriously," Donnelly said. Seeman moved to Vienna in 1968. She was first appointed to the town council back in 1996 -- after her husband, a councilman, passed away. She filled his council seat then ran for re-election twice and won. In 2000, she decided to run for mayor and won every election since. "It's a huge loss for Vienna as far as somebody who put some much into insuring that Vienna remained the great place that it is," said resident Kirstyn Barr. Seeman was diagnosed with lung cancer last year. And while the longtime mayor had decided against running for another term, she continued to work through her illness. Town Councilman Howard Springsteen told News 4, "She was the face of Vienna for so many years and will be missed by everyone"
The vice mayor will step into Seeman's seat. Within 45 days, the council will appoint someone, whose term will be up in june.